Husband has hurt his back and needs to spend lots time resting so this is how I get 3 kids to church by myself. 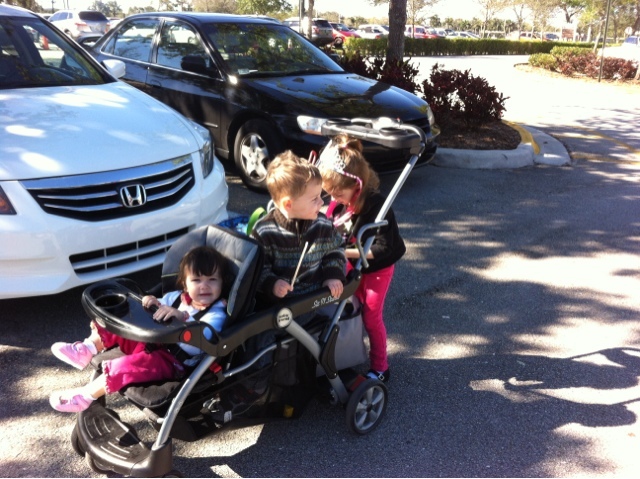 Love this stroller for keeping kids wrangled. The only fix it needs is a secure seat belt for the middle child because every time I stop he tries to escape.